The transmitter will transmit all the outside data every few seconds and has a range of approximately 200m. 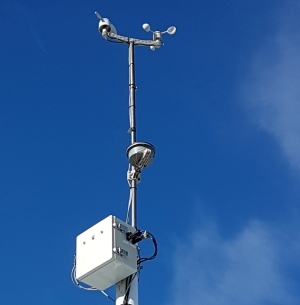 The outside sensors come in a very tidy package with the anemometer, solar/UV sensors and rain bucket being attached to a mast on the highest point of the house with the temperature sensor being mounted separately to provide more accurate temperatures. This station is currently located on the highest point of the house with clear surrounds for maximum wind efficiency. 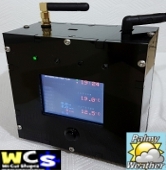 The hardware "Palmy Weather" uses was upgraded on 1 December 2015 from "Fine Offset Electronics" WH1083 to a homebuilt "WeatherDuino Pro2". Past upgrades were on 1 November 2014 from "Fine Offset Electronics" WH1081 to "Fine Offset Electronics" WS3083 to include the recording of solar and UV data. Click here to find out more information about our weather forecasting. Use discretion when making weather decisions based upon this information. Palmerston North (Maori: Te Papa-i-oea) is the main city of the Manawat&umacr;-Wanganui region of the North Island of New Zealand and is affectionately known as Palmy. It is an inland city with a population of 80,079 (2013 census) making it the 8th largest city in New Zealand. 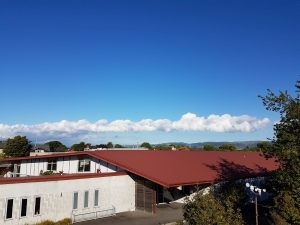 A large proportion of its population consists of students attending Massey University, Universal College of Learning (UCOL) or International Pacific College during the student year. Over half of the city's population is under the age of 25 and the city has been marketed as 'Student City'. The city was first named "Palmerston", in honour of Viscount Palmerston, a former Prime Minister of Great Britain. 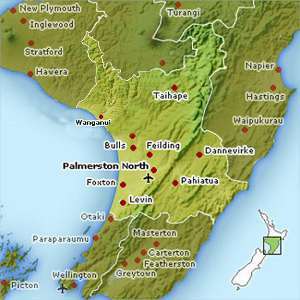 The suffix "North" was added in 1871 by the Post Office to distinguish the settlement from Palmerston in the South Island, though locals still widely refer to the city simply as Palmerston or "Palmy". Locals are known as Palmerstonians. The Maori transliteration of Palmerston is "Pamutana", but this is largely unused, with Papa-i-oea (commonly contracted to Papaioea) being the preferred option, e.g. Te Kura Kohine o Papaioea (Palmerston North Girls' High School) and Te Hohipera o Papaioea (Palmerston North Hospital). Papa-i-oea is believed to mean "How beautiful it is". Ngati Rangitane were the local Maori iwi (tangata whenua) living in the area known as Te Ahu-a-Turanga, when a trader, Jack Duff, became the first known European to explore the area in 1830. He came on a whaling ship, and explored as far inland as the site of Woodville. 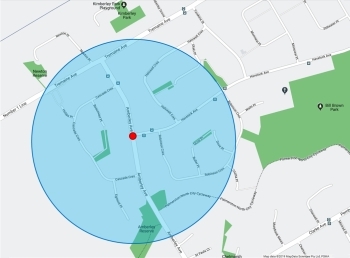 He reported his discovery on arrival back to Porirua. Colonel Wakefield heard of the potential that the Manawat&umacr; had for development and visited in 1840. In 1846 Charles Hartley, another trader, heard from tangata whenua of a clearing in the forest and he proceeded through the dense bush and forest and discovered it for Europeans. 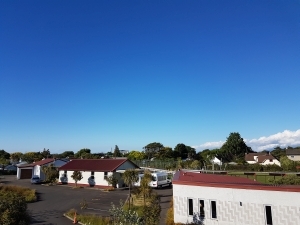 Palmerston North covers an area of 325.94 square kilometres (126 sq mi) and one million people live within a two-hour drive (200 km/120 mile radius). 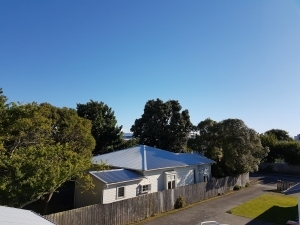 It is about 140 km (87 mi) north of the capital, Wellington, in the eastern part of the Manawat&umacr; Plains, and close to the northern bank of the Manawat&umacr; River. It is 35 km (22 mi) from the river's mouth and 12 km (7 mi) from the end of the Manawat&umacr; Gorge. The official limits of the city take in rural areas to the south and north-east of the main urban area, extending to the Tararua Ranges and including the town of Ashhurst at the mouth of the Manawat&umacr; Gorge. This is a rich and fertile agricultural area. In the ranges that flank the city there is often sustained wind, especially in spring. Much of this land is within the city boundaries and these ranges has the reputation of providing the most consistent wind in the country. As a result, Palmerston North is under increasing tension between wind farm operators who want to build more renewable energy wind turbines and local residents who wish to continue to enjoy untouched scenery. Close to the city is the largest electricity-generating wind farm in the southern hemisphere, with 158 turbines in the Tararua and Ruahine Ranges providing power for approximately 30,000 homes. The city's main streets are arranged in a grid around The Square, a seven-hectare park of lawn, trees, lakes, fountains, and gardens in the centre of the city. 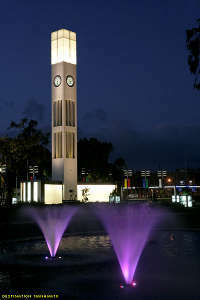 This park contains the city's war memorial, a memorial to Te Peeti Te Awe Awe, the Rangitane chief who was instrumental in the sale of Palmerston North district to the government in 1865, and a clock tower whose illuminated cross was damaged in a storm in the first half of 2006. The damage to the cross and its subsequent removal rekindled a discussion about the appropriateness of a Christian symbol in the centre of a city whose citizens are of many cultures and religious backgrounds. The Maori name for the Square is Te Marae o Hine. Te Peeti Te Awe Awe was one member of a Maori contingent who gathered around 1878 to choose a Maori name for The Square. The meaning of the name is The Courtyard of the Daughter of Peace chosen in the hope that all people and all races would live together in enduring peace. There are a number of parks in the city. 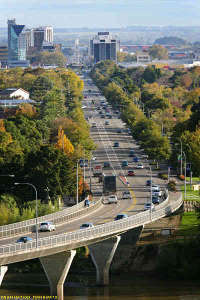 The foremost is the Victoria Esplanade along the northern bank of the Manawat&umacr; River, to the west of Fitzherbert Avenue. The esplanade includes gardens, children's play areas, an aviary, a miniature railway, walking tracks, and sports fields (Ongley-Manawaroa Park). Information sourced from: Wikipedia and refrenced in our bibliography. The weather data displayed on the website comes wirelessly from outside sensors before being processed by Sanday Soft's Cumulus software. The software bases weather forecasts upon current pressure readings. Usually pressure less than 1010hPa brings unsettled weather. Greater than 1010hPa brings settled weather. From 1020hPa, weather is generally sunny and calm. 1030hPa or more can bring changeable weather from fine sunny days to thunder storms. Cumulus also bases the forecast upon how quickly the pressure is rising or falling. Static pressure usually bring settled weather. Rapidly falling or rising pressure usually bring bad, uneasy weather. Occasionally some figures may not be displayed accurately on the site. This is usually caused by a transmission error. We try to fix these errors as quickly as we can however sometimes the days extremes may be compromised until we can fix this problem. Our forecast range can be viewed on our help page. Disclaimer: The weather forecast on this site is only a prediction based the data gathered from the weather station. Use discretion when making weather based decisions. We would like to thank all the people in New Zealand and around the world who made this website possible. And a big thank you to the online community at Cumulus/Sandaysoft and Meteo Cercal. This website has been designed, developed and maintained by M.S.A Development. M.S.A Development also assembled the hardware and designing the weather station to suite the location as well as setting up the computer link to get this data to the Palmy Weather website. Our receiver circuit board is housed in a custom made plastic enclosure created by Julian at "We Cut Shapes" based in Palmerston North. Visit his website at http://www.wecutshapes.co.nz. The information for the dictionary was gathered from "The Weather Channel". Check out their glossary at http://www.weather.com/glossary/. Information regarding the UV Index, how it works and how it affects New Zealanders was gathered from "SunSmart" New Zealand. Check out their website at http://www.sunsmart.org.nz/. The information gathered for the about page was a summarised version About Palmerston North from Wikipedia. Check out the full artical at http://en.wikipedia.org/wiki/Palmerston_North. The Pollen Calendar and allergy information has been sourced from Allergy New Zealand. The full calendar and more information on allergies can be found at http://www.allergy.org.nz. The auto scaling Thermometer and Cloud Base graphics uses scripts generously provided by Saratoga Weather website. Check out their free scripts and weather website templates at http://saratoga-weather.org. Free software provided by SoftRock Enterprises (FWI Calc) calculates our fire danger information providing graphs and other relevant information. Check out their website at http://www.wilddata.org.nz. 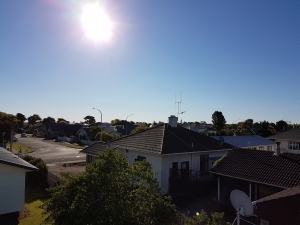 Finally thanks to Meteo Cercal for their great support and homebuilt weather station project, WeatherDuino Pro2 which is what Palmy Weather is powered by. Check out their website at www.meteocercal.info. "Palmy Weather", "Matt's Place" and "Matt's Weather" are intellectual property of its owner. This site, web pages, images and photos are © Copyright 2019. Please contact us if you would like to use any information, images, scripts from this website.